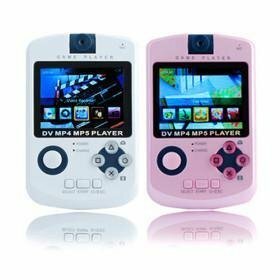 2GB QVGA Panel All-In-One Media Player (DV/MP3/MP4/Game/Camera/FM Function) 2 Colors Available`4.3-inch TFT LCD Touch Screen `Movie playing function `Photo/picture view function `T-flash (Micro SD) card slot for expanding the storage space `Built-in speaker `Built-in mic `FM function. If you like our item,please contact us or leave a message, let us know which produt you want included color,Storage capacity and Quantity, if no message, color is random. The shipping time is about 1 to 3 weeks by Airmail of Hongkong Post or EMS or DHL to Worldwide. 1)If you are not satisfied with your purchase,please contact us quickly, wewill exchange one to you,but buyers is responsible for the returning shiping cost . 2)If you have any item proplem, just email us quickly, we will do our best to slove it in 24 hours, please don’t leave bad feedback before contacting us, it is not the best way to slove proplem.,thank you! 3)If you want more items, we give you a discout,thank you!